Breen and Emma Hofmann founded Lazy H Ranch in 1992. They wanted to share their love of horses, ponies, dogs, cats and farm animals with others. 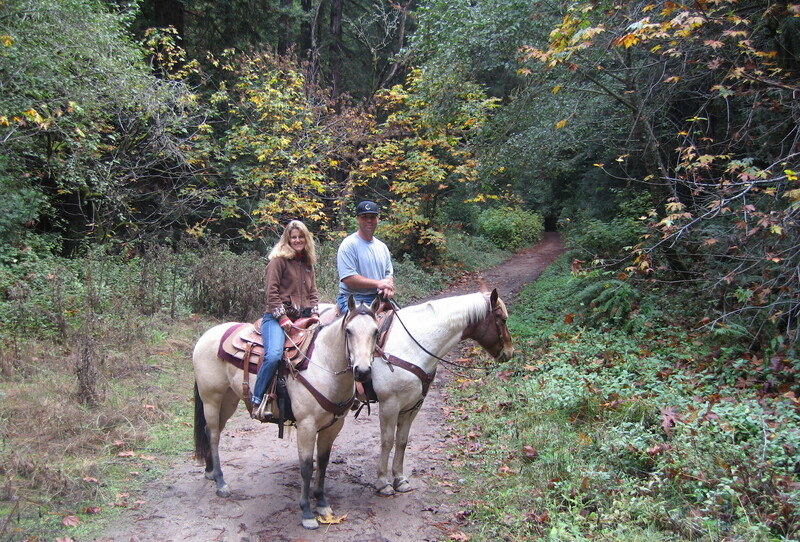 Breen and Emma both grew up in Half Moon Bay, when if was not uncommon to ride your back yard pony from Montara to Half Moon Bay through the pumpkin and artichoke fields. Half Moon Bay Highschool had permanent rodeo grounds and an annual Coastside Country Fair. 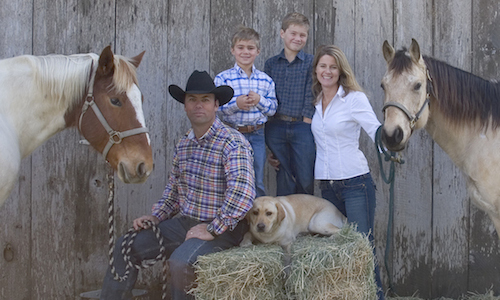 Since founding Lazy H Ranch Breen and Emma have been offering children of all ages the opportunity to ride and foster their love of horses and ponies. Over the years it has been very rewarding to see the respect and love children have for all the animals at the farm. 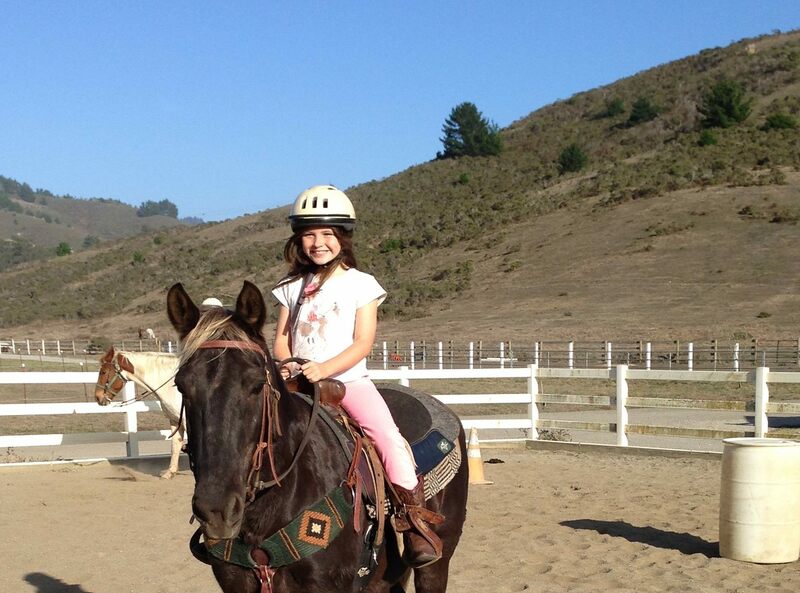 Especially amazing is that we are now teaching children of previous Lazy H Ranch children to ride! 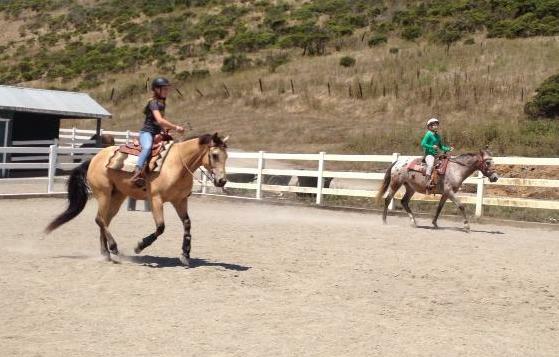 "I had no idea what I was in for when I signed my daughter up for "Pony Camp" at Lazy H 5 years ago. She’s 11 now, and would live here if she could. And even though I’m not a horse person, I understand, this place has a certain magic. The location is beautiful, the owners Breen and Emma are laid back and down to earth, the young women counselors are great role models for young girls, and the horses and ponies are of course adorable (there are also goats, chickens, and various dogs who run around there.) She comes home from camp filthy, smelly and exhausted and ready to do it all again the next day. Riding lessons in the fall, winter and spring are a bargain. Lazy H is nothing like other "hoity toity" horse places in other parts of the peninsula!" Come visit us at the ranch. 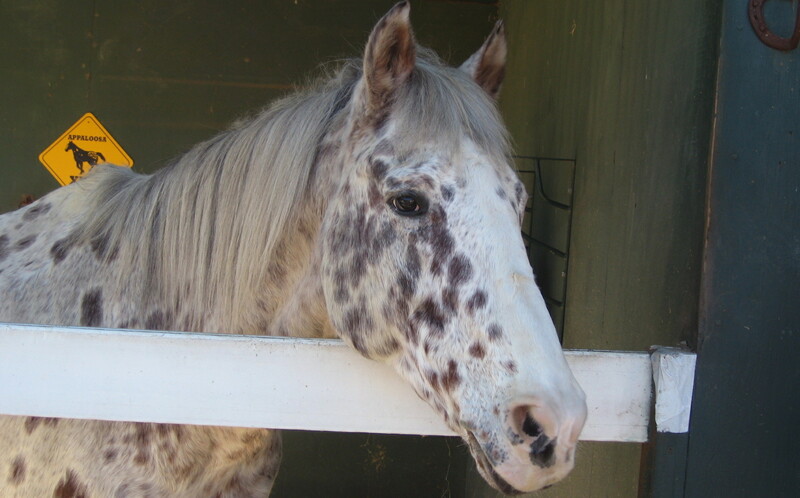 Get a tour of the stables and meet the animals. We are located just two miles south of Half Moon Bay. Turn left (east) on Miramontes Point Road and travel for 1 mile (see map on last page). 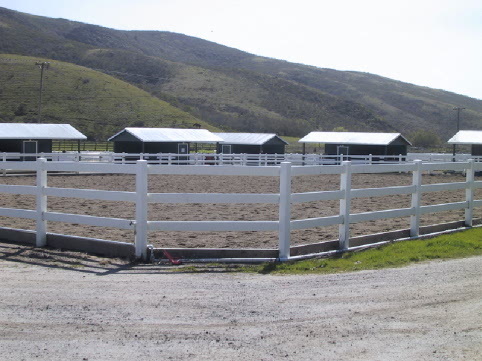 The Ranch is located on 40 acres in a quiet valley. Please sign up early for camp as space is limited and we fill up every year. 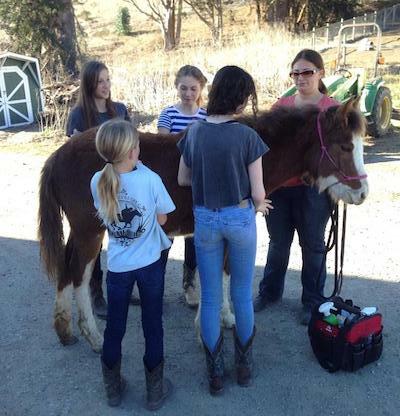 Each child will be assigned their own pony/horse to ride and take care of for the week. We have new horses for intermediate to advanced riders and lots of safe ponies for beginners. Every year we are always surprised how quickly all of the children learn to ride and act like responsible individuals around ponies. Our philosophy is to teach total horsemanship and let each child advance at his or her own pace. Friday we have a horse/pony show for the parents. Lazy H Ranch offers friendly atmosphere while boarding your horse on our 40 acre property. Feel free to call and schedule a tour of the ranch. We offer riding lessons for children aged 6-14 beginner through advanced. Riders will be assigned a pony or horse to suit their riding ability and confidence. Riders are responsible for catching, grooming and tacking up their pony or horse. They will work on all aspects of horseback riding and showmanship. Riders will increase their confidence and ability through a variety of exercises including stopping, steering, trotting, and cantering, as well as learning to maneuver trail obstacles, gymkhana patterns, and riding drills. Group riding lessons, semi-private and private available. Contact Us For Lessons Information!